In an Italian Renaissance building located in the heart of The Broad Street Commercial Historic District, sits a 60,000 sq. 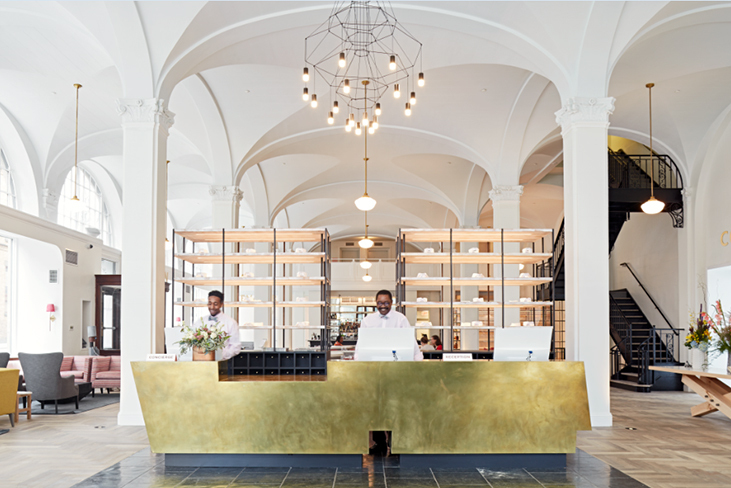 ft. historic Richmond landmark, originally constructed in 1916 as the city’s finest department store, J.B. Mosby & Co.
After closing for renovation, the building reopened its doors as the Quirk Hotel, blending its original architectural elements, including the main floor’s segmental arches, groin vault ceiling and ornamental ironwork staircase, with updated sophistication, flair and humor. The overall art-centric theme is reflected throughout the property, from guest rooms that combine historic highlights with contemporary millwork, warm wood floors and frosted glass shower enclosures to the vaulted lobby complete with imaginative installations that hint back to the former department store manikins and wardrobe style casework. The WIREFLOW Chandelier hands just over reception, complimenting the vintage pieces in the lobby while adhering to the overall design code. 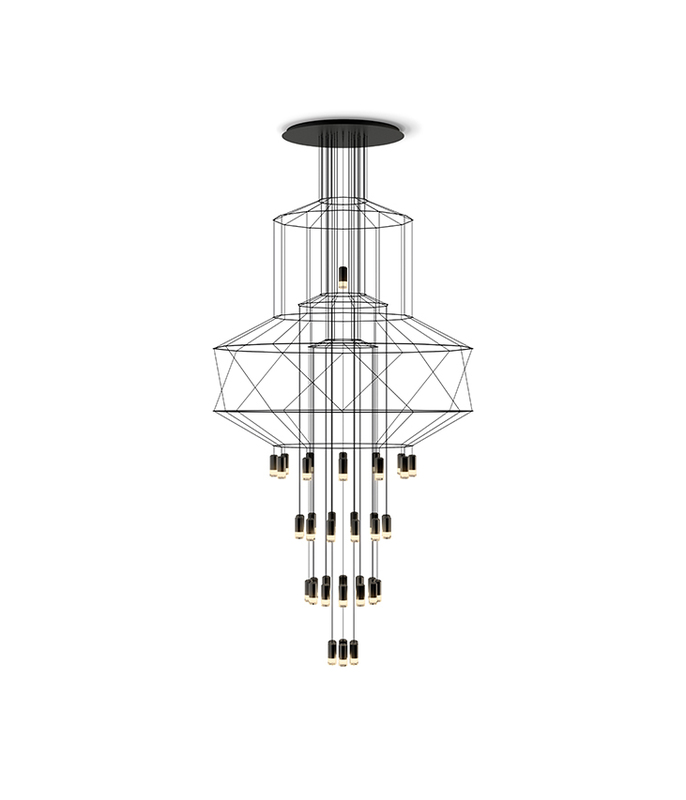 Its elegant shape parallels the structure of a classical chandelier, acting as a transitional piece into the age of more contemporary forms and technology.